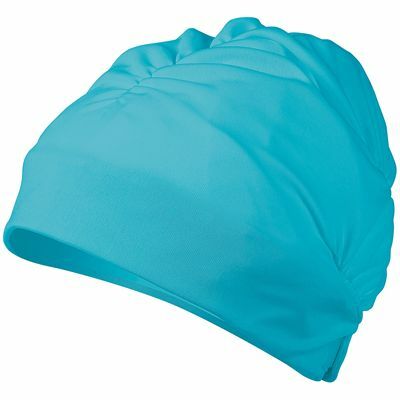 Designed to provide maximum comfort and a great look in the pool, the Aqua Sphere Aqua Comfort swimming cap offers an adjustable headband for a perfect fit. The cap is suitable for regular swimming sessions and helps to protect your hair from chlorine and harmful sun rays, as well as to improve performance by reducing resistance and keep your head warm when swimming in cold water. This lightweight, durable and flexible cap has a hook and loop strap for a tight and secure fit and more confidence in the water. for submitting product information about Aqua Sphere Aqua Comfort Swimming Cap We aim to answer all questions within 2-3 days. for submitting product information about Aqua Sphere Aqua Comfort Swimming Cap. We aim to answer all questions within 2-3 days. If you provided your name and email address, we will email you as soon as the answer is published. I like the swimming cap. It is comfortable and easy to put on unlike other makes. It costs more but is good value for money. for submitting product review about Aqua Sphere Aqua Comfort Swimming Cap.